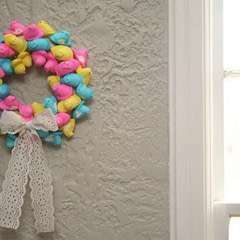 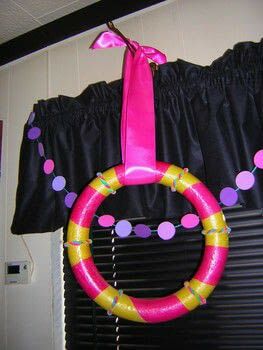 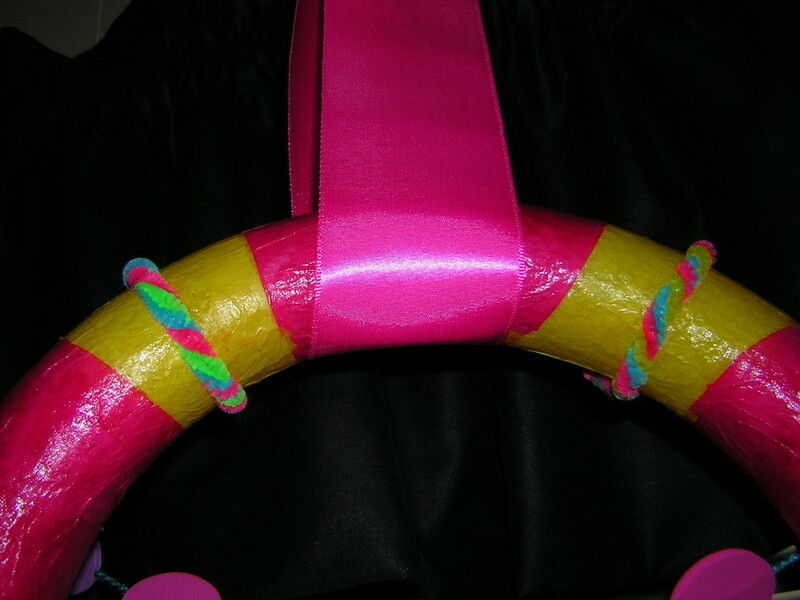 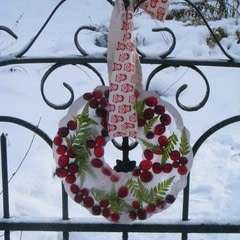 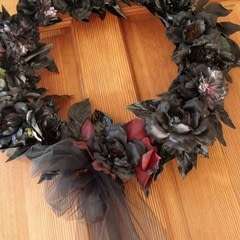 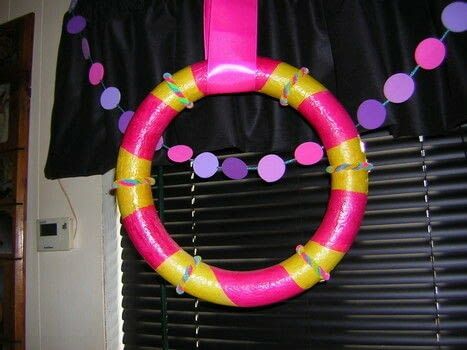 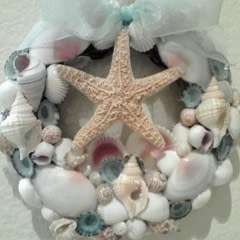 I took some mod podge and a foam wreath and glued on pink and yellow tissue paper pieces all around the wreath. 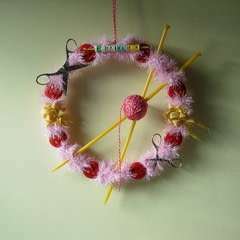 Then I took some colorful pipe cleaners twisted them and then wrapped them around the wreath over the yellow tissue paper. Added a pink ribbon and that's it! 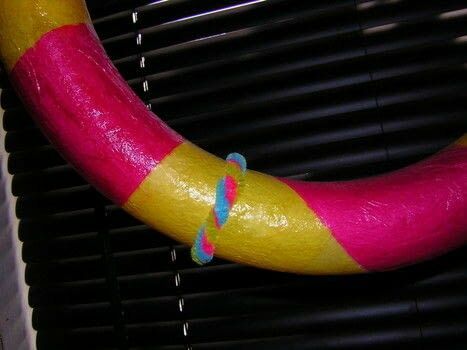 Sorry i don't have pictures of the process I didn't have a camera at the time.